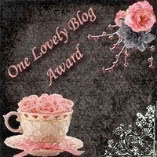 Bella, from Cheezyfeetbooks gave me this wonderful award some time ago. I wanted to include only read worthy blogs, that I totally love to follow and read their every post, and that feature books that I read and am interested in. I think the readers of this blog would love to follow these blogs, if they don't already do so. So I came up with only six. Please note that the second one isn't a book blog. Most of the others I have found out through YouTube and I watch their videos daily. You guys all have really lovely blogs, and I am so glad they exist and are often updated because I love to read them! Thank you Alexandra! I love your blog and this is really sweet!